Black Moth Super Rainbow - "Lost, Picking Flowers in the Woods"
Damn, this is cool stuff. More people should lock themselves away in an uninhabited cabin in Western Pennsylvania with some primitive 60's recording gear and just freak out. There are 5 members in the group playing analog synths, gongs, drums live and later mixing it together on the computer and adding strange samples. The music is very raw but coolly rhythmic and you get sucked into the sometimes funky and bizarre grooves. Damn hard to describe but extremely cool and soothing for the soul, like a slowly growing fungus in the corner of the laboratory that has escaped from the antibiotic mix. 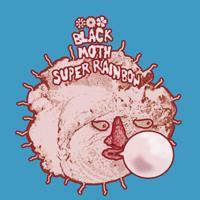 For more information you can visit the Black Moth Super Rainbow web site at: http://www.blackmothsuperrainbow.com. Visit the Graveface Records web site at: http://www.graveface.com.